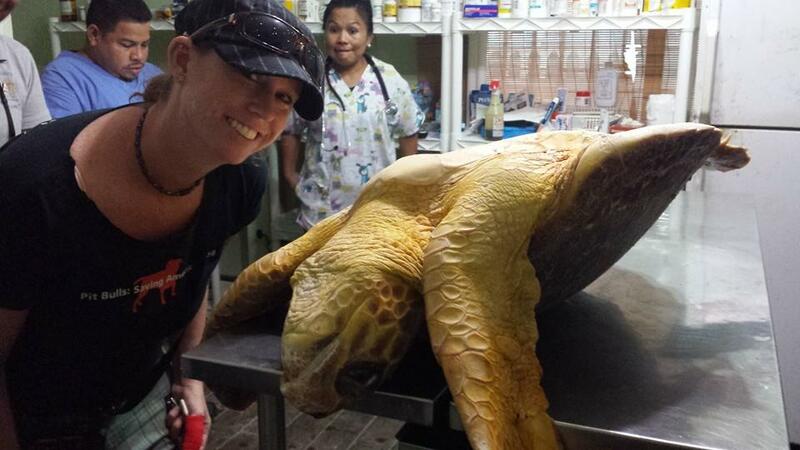 On Wednesday, October 9th, Tuff E Nuff tours rescued an injured female Loggerhead Turtle on the way back from a dive trip. 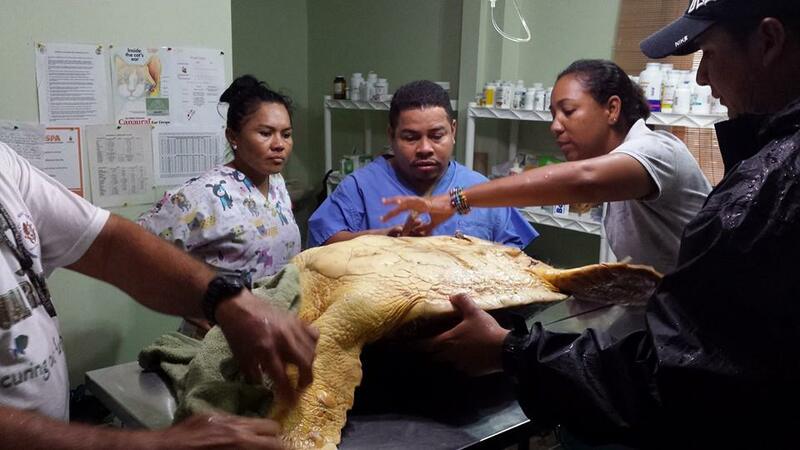 Hol Chan Marine Reserve officials were alerted around 9AM to assist the turtle which was clearly suffering from injuries caused by a shark attack. 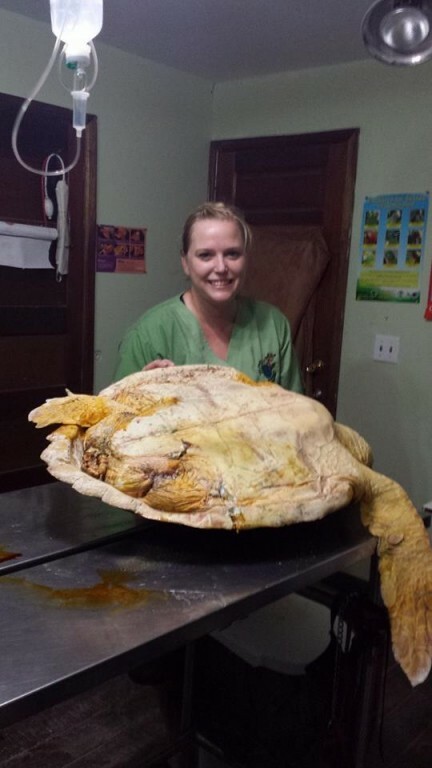 The adult female turtle, which weighed in at 52 pounds, was missing its left hind flipper and there were several lacerations evident on its other flippers. 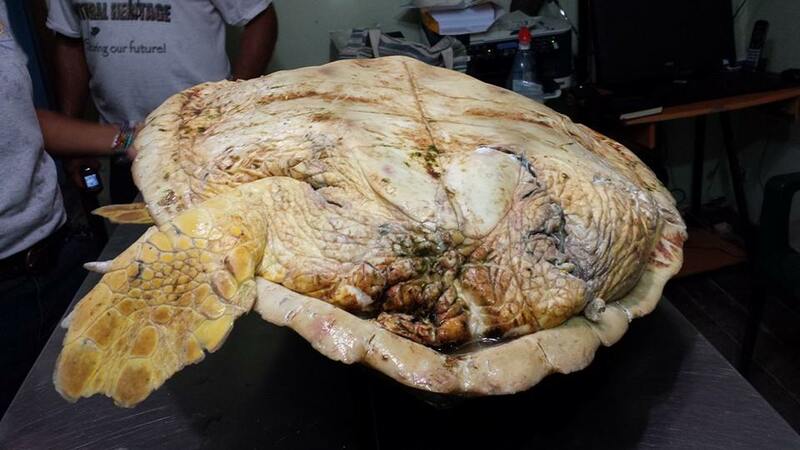 The turtle also had a broken plastron (the belly of the shell). 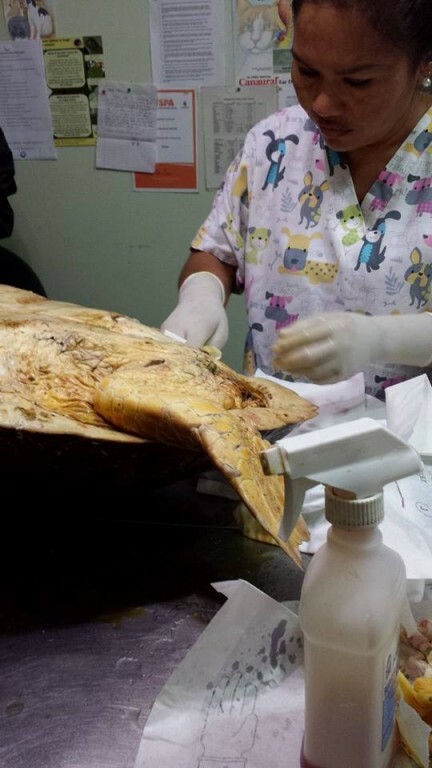 The turtle was rushed to Saga Humane Society to be treated in order to save its life. 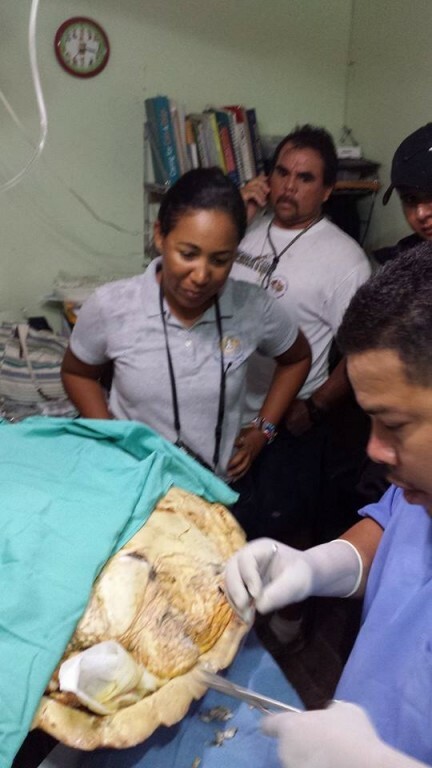 Many of the wounds needed stitching to prevent blood loss, and the team at Saga, alongside Doctor Orlando Baptist worked to care for the injured turtle. 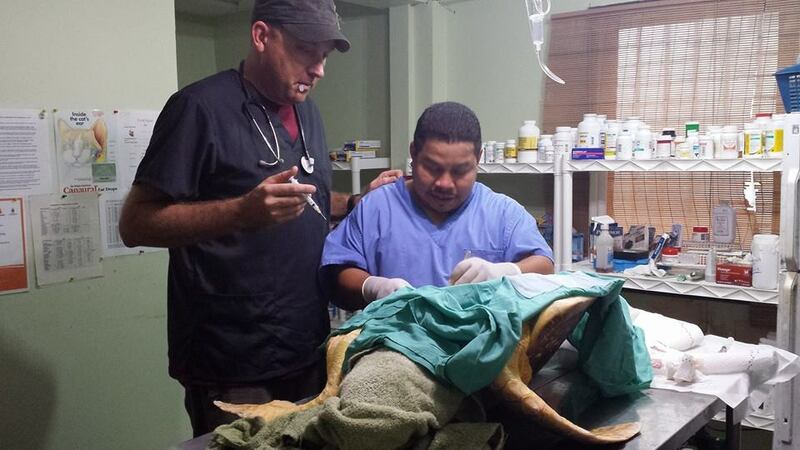 The turtle is being housed at the Hol Chan Office and is expected to do a full recovery. 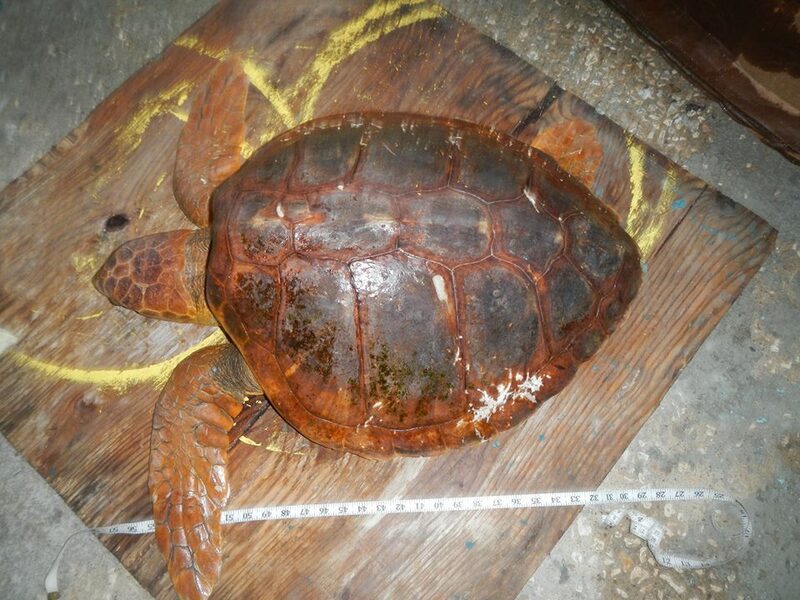 The San Pedro Sun congratulates all those who put in a little of their time to continue rescuing Belize’s wildlife, and we certainly hope this turtle recovers and can continue gracing the Caribbean waters. Saga Halloween Fundraiser a Howling Success! Doctor Love: How to handle?